Every January, Montreal's boroughs schedule Christmas tree pickups. Several boroughs collect discarded Christmas trees left curbside Wednesday January 10 and Wednesday, January 17, 2018. However, some neighborhoods feature exceptions and extended schedules, all listed just below. Furthermore, residents are advised to double check dates in case of last-minute schedule changes. Find out when Montreal Christmas tree recycling is passing through your neighborhood online or by calling 311. 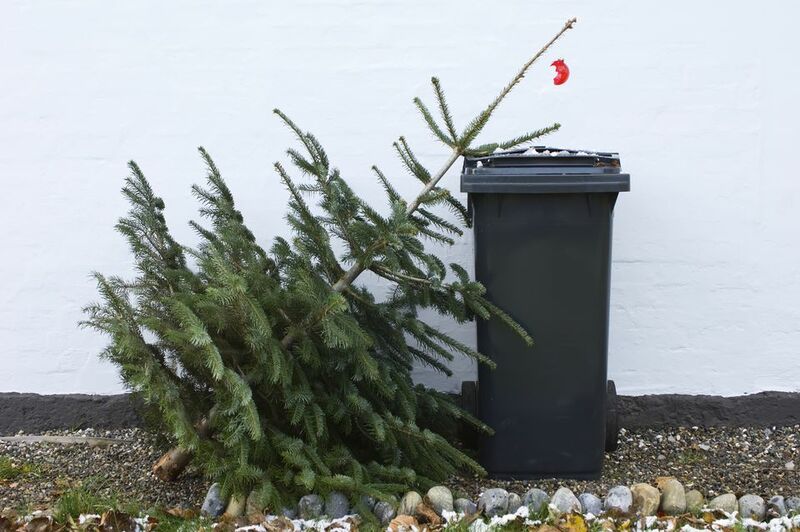 Where should I put my discarded Christmas tree? Simply place discarded trees on the curb at the indicated time -usually by 7 a.m. or 8 a.m. the day of pickup or after 9 p.m. the evening prior to pickup- in front of your residence without blocking sidewalks, parking spots and driveways. Ensure that the base of the tree is pointing toward the street. Montreal Christmas tree recycling pick-up schedules are available online or by calling 311. Can I leave my decorations on the Christmas tree? No. Residents are asked to remove all decorations—especially tinsel—before discarding Christmas trees on the curb. What does city hall do with discarded Christmas trees? Most discarded Christmas trees in Montreal are delivered to the St. Michel Environmental Complex where they're turned into compost distributed to residents free of charge or converted into wood chips to be used as mulch for city landscaping projects. Finally, a handful of trees are kept as is through the winter, positioned as windbreakers on outdoor skating rinks around the city.